It’s time for our monthly model post. The model of this month belongs to Johnny who contacted me and asked me to take a look at his car. It’s a 323i 1995 and it’s in a very good shape with standard look. Take cheap celebrex online, online Zoloft. a look I hope you like it. I have lots of things that I want to talk to you about so, lets start right away. First, I’ve noticed in the last couple days that the BMW E36 Blog is loading slower than normal. So, I contacted my host (hostmonster.com) in order to have them check if there’s a problem with my hosting server. They replied that the server is ok and working at normal speed and that it may be caused by my connection. I’ve noticed that my connection is a little bit slower these days than what it used to be (I must have forgotten to pay that bill :p LOL!). So, I decided to ask for your opinion? 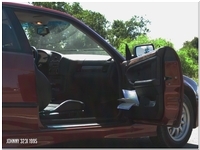 Are you feeling the BMW E36 Blog is slower than normal? I mean really slow to cheap clomid online, purchase clomid. the degree that it’s annoying? or is it fast as normal and the problem is in my connection only? Second, did you notice the 498 subscribers to the blog? I’m almost there to acheive the 500-subscriber mark which I have to admit is a target that I didn’t think it’s going to be accomplished, but here we are! We’re almost there! I just need 2 more subscribers to reach that. What do you think? Is that a great thing or what!!! Of course, I want to thank all of you for being loyal subscribers to my blog and I want to welcome my new subscribers as well. I hope you will enjoy the blog and find it useful. Third, umm… okay I’ve noticed lately that there is a lot of questions being posted in the comments section which sometimes are not related in anyway to the post content. and this is normal because if the visitors of the blog have questions that need answering, they have no other way to post their questions except as a comment. I totally understand that, but from a logical point of view, it would be better if these questions were put in a separate location, so I started to think about creating a BMW E36 only forum. 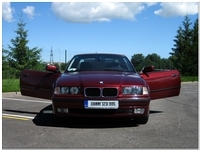 Of course, I’m aware of the fact that there is a lot of forums about BMW cars including the E36 model. 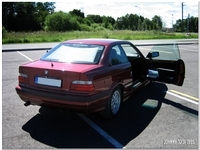 But, I think that having a website like this one which deals with BMW E36 cars only is a very good idea. So, as you can see, I’m a little bit lost and I couldn’t take that decision alone. So, I decided to go ahead and ask you. 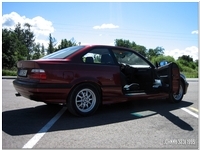 What do you think of this idea, having a BMW E36 forum hosted on the BMW E36 blog? Of course, you’re welcome to share your thoughts below. But, please use the right sidebar poll to vote for the idea. So, according to this poll, I guess there’s a lot of people here who need to upgrade their headlights . I will try to concentrate a little bit on this issue in the future. Finally, please take a look at the poll on the right sidebar and let us hear your opinions. Have fun! 1. When I start my car, the idle bounces for a while and then it becomes stable. 2. While driving, I sometimes notice that the RPM (Rotation Per Minute) moves down until it reaches 200 or maybe less then it comes back again especially when I’m pressing the clutch pedal. 1. Cleaning ICV (Idle Control Valve): A very straight forward task. This unfortunately didn’t solve my problem completely but it helped a little bit. 2. Checking/Replacing the TPS (Throttle Position Sensor): I tried to replace it, but nothing has changed. 3. Check for vacuum leaks: Just buy a carborator cleaner can and while the engine is running, spray it around the engine and make sure to listen to the engine sound and see if you can detect any change in the engine’s idle. If anything has changed, it means that you have a vacuum leak. This didn’t result in any problems in my case. 4. 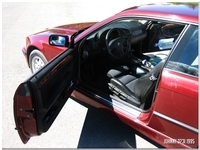 Check the ignition coils: I didn’t find any problems with this either. With these options out of my way, I’m left with a knock sensor error code when I check my car for problems. Actually it’s the 2nd knock sensor which is located in the left side of the cylinder block. For those who don’t know what a knock sensor is, it’s a sensor used to monitor the combustion chamber for engine-damaging knock (according the the Bentley Manual). Unfortunately, the second knock sensor requires removing the upper section of the intake manifold to replace it. So, as you can see, it’s not a very straight forward task, so I took the car to a mechanic and he replaced it (I suggest you do the same if you have the same problem). Now, the knock sensor is working properly. I also asked him about the DISA valve and it turned out that I had a vacuum leak that prevented it from working properly. I’m sure this title has caught your eye and now you’re all anxious to know how you can make your car’s interior auto dim with light…The procedure is very simple and all you have to do is to get in your car and turn your lights on, then watch it because you already have it. The BMW E36 keeps amazing me every single day. It’s supposed to make the gauge cluster light become more intense as it becomes darker outside. For me, as I said before, I didn’t try any of this yet, but I will check it today and make sure it’s working in my car. Please try it in your cars and lets see if it works. It’s just awesome. 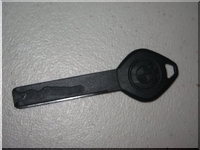 You’re supposed to keep this key in your wallet in case you’ve closed your car with your keys inside. 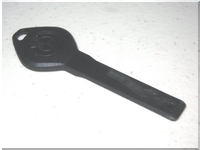 So, this way, you will be able to use the plastic emergency key to solve your problem right away .. smart huh? I also learned that this key is supposed to be used only once, but I’m not sure about that. I mean about the key being disposable. anyone knows if this is clomid online, acquire clomid. true? 1. 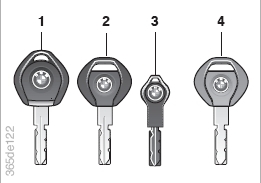 Master key with battery-powered lamp (switch on by pressing the BMW symbol). 2. Master key without lamp. 3. Spare key to be kept in a safe place e.g. your wallet. This key is not intended for continuous use. Isn’t that great? Unfortunately, I only have one key for my car. I don’t have the other three. What about you guys?